What conditions does Pradaxa treat? This medication can cause serious bleeding if it affects your blood clotting proteins too much. Tell your doctor right away if you have any signs of serious bleeding, including: unusual pain/swelling/discomfort, unusual/easy bruising, prolonged bleeding from cuts or gums, persistent/frequent nosebleeds, unusually heavy/prolonged menstrual flow, pink/dark urine, coughing up blood, vomit that is bloody or looks like coffee grounds, severe headache, dizziness/fainting, unusual or persistent tiredness/weakness, bloody/black/tarry stools. Tell your doctor right away if you have any serious side effects, including: stomach/abdominal pain, severe heartburn/nausea/vomiting. 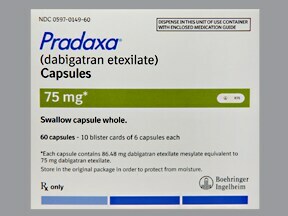 List Pradaxa side effects by likelihood and severity. Before using this medication, tell your doctor or pharmacist your medical history, especially of: mechanical heart valve, kidney disease, bleeding problems (such as bleeding of the stomach/intestines, bleeding in the brain), blood disorders (such as anemia, hemophilia, thrombocytopenia), liver disease, recent major injury/surgery, stroke, frequent falls/injuries. What should I know regarding pregnancy, nursing and administering Pradaxa to children or the elderly? Some products that may interact with this drug include: mifepristone. 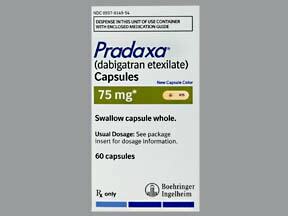 Does Pradaxa interact with other medications? If you miss a dose, take it as soon as you remember. If it is less than 6 hours until the next dose, skip the missed dose and resume your usual dosing schedule. Do not double the dose to catch up. Store at room temperature away from light and moisture. Do not store in the bathroom. Open only one bottle at a time, and once the bottle is opened, the medication must be thrown away after 4 months. If your capsules are in a blister package, then keep the capsules in the blister package until you are ready to take the medication. Keep all medications away from children and pets. 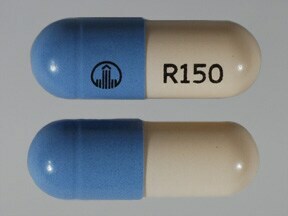 This medicine is a cream light blue, oblong, capsule imprinted with "logo" and "R150". 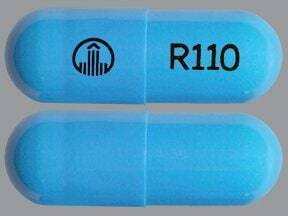 This medicine is a light blue, oblong, capsule imprinted with "logo" and "R110". This medicine is a cream, oblong, capsule imprinted with "logo" and "R75". 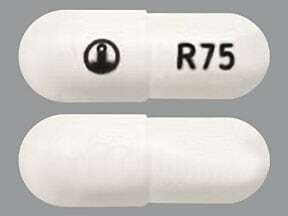 This medicine is a white, oblong, capsule imprinted with "logo" and "R75". 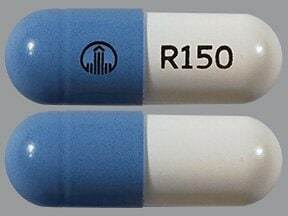 This medicine is a light blue white, oblong, capsule imprinted with "logo" and "R150". Are you considering switching to Pradaxa?